It is important to diversity your job search strategies. There are a variety of strategies that you can use to accomplish this. Each strategy is valuable in its own way, so use more than one. By using multiple strategies, you will find a larger number of open position, which results in more options to choose from. 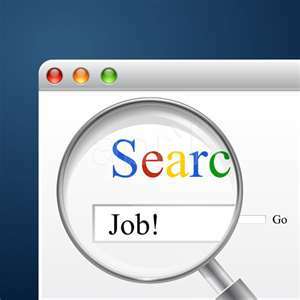 As you plan your job search, decide in advance which search strategies you will use. Post an up-to-date resume on a multiple job search engines. Once your resume is posted, employers can search for resumes that contain specific keywords that are related to the job. Resumes that contain those specific keywords end up in their search results. You want your resume to contain the right keywords so employers will find you as they search for candidates. Find job-related keywords in job descriptions and sprinkle them into your resume and cover letter. Search for jobs by job title, career field, skills and experience, or interests. You can filter the results to find jobs in specific geographic locations. Apply online to open positions that are posted on the job search engines. Follow the specific instructions listed on the job posting to apply. If the job posting asks for a resume and cover letter, send both. If the posting instructs you to e-mail your resume to a specific person, do that. Follow the instructions carefully. Searching job search engines is one of the most popular job search strategies, but it should never be the only that you use. Networking is simply making connections with people you know or people that you meet, and the people they know in order to obtain information. In this situation, the information you want is possible job leads. This job search strategy is not as difficult as some people may think. We talk to people every where we go. It can be as simple as asking someone what they do for a living. Depending on their response, the conversation could lead toward your careers. 1. Talk to people that you know…Friends, relatives, neighbors, alumni associations, professional associations, prominent community members, family and friends, friends of friends, former coworkers, college professors. Let them know that you are looking for a job. Talk about the career you are pursuing and about companies that you would like to work for. They may know or hear about job leads and pass them on to you. They may know about companies that are hiring. 2. Connect with people at career or business networking events. Contact professional associations to find out when they hold such events. You can search the internet for these types of events in your area. 3. Use social networking sites to network and build professional relationships with people. As you talk to people, exchange business cards or contact information with them. New business relationships start here. Be careful not to approach networking with a “What can you do for me?” attitude. Each new relationship should be beneficial to both parties. Ideally, you want the other person to keep their eyes and ears open for ways to help you, but make sure that you do the same for them. This could be as simple as telling them about a website that you came across in their field or a job opening that you saw during your job search. During the conversation, listen for their needs, and look for ways that you may be able to benefit them. The more that you help other people, the more your network expands. You will end up with a larger group of people who can potentially help you. This job search strategy is a continuous one. Make a habit of meeting new people at every professional event that you attend. Stay in contact with them via e-mail or social networking. Your network will continue to grow. Attend local career fairs. A career fair or job fair is an organized event that gives you the opportunity to talk face-to-face with recruiters and hiring managers about their job opportunities. The benefit is that you get to talk to multiple employers in one day and gather valuable information about their companies and job openings. Each company is typically set up at a table or booth and you will approach each employer as you make your way around the room. Be prepared to talk to them about your work history, your target job, and how you can benefit their organization. The goal is to impress the employer and compel them to call you for an interview. Some employers even conduct on-the-spot interviews right there at the job fair. Provide each employer with a copy of your resume and ask for their business card so that you can follow-up with them. Find out what kinds of jobs each company offers, and ask for instruction regarding how to apply. Some companies attend career fairs even when there are no current openings, to brand their company as a potential employer. You can periodically check their websites for future openings. You can locate job fairs in your area by searching the internet for job fairs + the name of your city and state. Click here to learn how to stand out at a career fair. Some companies post job openings on their own website, instead of at the search engines. Make a list of 5-10 (or more) companies that you would like to work. Go to their websites and click on their careers or job opportunities page to view open positions. With some companies, you can elect to be notified via e-mail whenever a job opens that meets your search criteria. Not all companies offer this option, but many do. If you have contact information, you can call or e-mail the company. If the job you are seeking is located in a public place, you can walk in and ask the manager about career opportunities. If you decide to contact the employer face to face, be sure to dress professionally because this contact will be their first impression of you. This job search strategy is highly effective if you want to work in a specific industry and can identify multiple companies in that industry that you would like to work for. Some companies hire employment agencies to help them find candidates for open jobs. When you contact the agency, one of their representatives looks for jobs that matches your skills and qualifications and connects you with the company for a consultation or interview. A few popular employment agencies are Kelly Services, Adecco, and ManPower. Search the internet for other employment agencies in your area. Many colleges and universities have career centers, which include career counseling services and leads for job openings. If you are a college student or alumni, check with your school to see if such services are available. USA Jobs will assist you in finding jobs with the United Sates Government. You’ll find opportunities with the federal, state, and local government. Find state jobs at StateJobs.net or State Government Jobs. Search by state to locate the open positions in your area. The employment agencies are a highly effective job search strategy, but it should not be your only one. Search for jobs while on-the-go, from your smartphone or tablet. There are a variety of job search apps that have access to a large database of job openings. Here are some popular apps that you can download to your mobile device…. Try out a few different job search apps, and choose the ones that you like best for your future job searches. This list is not all inclusive. You can use your mobile device to look for other Job search apps as well. With advancing technology and mobility options this job search strategy is becoming more common. It is highly effective in that you can continue your job search no matter where you are.